All arms of the scientific dictatorship appear to move in unison. As of late we hear repeated calls for de-industrialization of the developed world by the global elite. In addition an attempt is being made by the elite to integrate so-called “population issues” into other issues such as poverty, “climate change” and other phantoms of doom necessary to fulfill the ancient eugenic utopia. 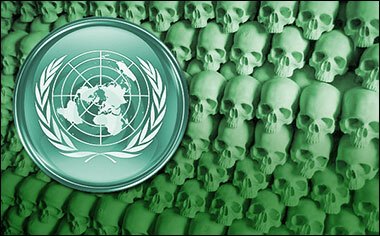 With the objective of plunging mankind into a new agrarian age, and depopulating the planet while they’re at it, the global elite have set up a broad approach which self-described ecosocioeconomist professor Ignacy Sachs has euphemistically dubbed a “virtuous green path”, more commonly known as Agenda 21. Sachs argues that “an accelerated programme of social and economic development of the rural areas should be the utmost priority in the first phase of a realistic population stabilization scheme.”Who or what is to coordinate all this, according to Sachs, and how exactly is the UN to take control?